Take a deep dive into the relationship between the sons of the greatest superheroes ever known! Superboy and Robin's relationship hasn't always been the easiest but as threats continue to appear they will dig deeper than they ever have before to form a team worthy of the name Super Sons. 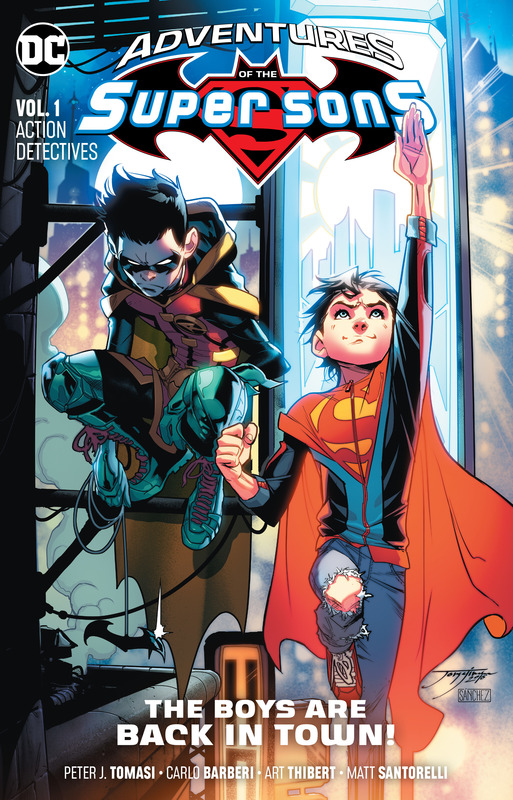 Acclaimed writer Peter J. Tomasi (Superman) and rising artist Carlo Barberi (Super Sons) take you into the past for an action-packed story starring the sons of Superman and Batman!